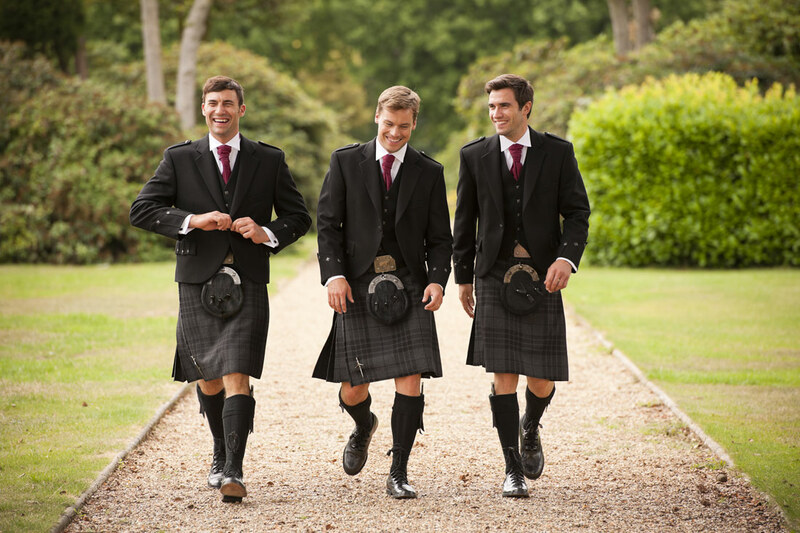 We are proud to offer Cameron Ross Men’s hire wear in store for the men in your bridal party from a 20“ Chest – 60” Chest to fit all members of the bridal party including little pageboys! Our menswear packages include jacket, shirt, waistcoat, trousers, cufflinks, ruche and hankie. Shoes are also available to hire. When you order 5 suit packages you get the 6th free!! Call in for more details. For a classic yet contemporary look, there’s nothing quite like the Prince Edward. This three quarter length jacket is available in black, mid grey, slate grey, navy, brown, and cream. Choose from matching plain trousers or, with black and navy jacket, trousers with a coordinating stripe. For a more modern look Cameron Ross have introduced the Slim Fit suits available in Mid Grey, Navy and Black. They are available with matching waistcoats for a contemporary 3 piece look along with the introduction of the patterned ties and hankies. Who could fail to look distinguished in the Tailcoat?, the most elegant of outfits. The tailcoat became popular as a riding jacket in the 19th century when the rider would use the two buttons at the rear of the jacket to fasten the tails up when on his horse. 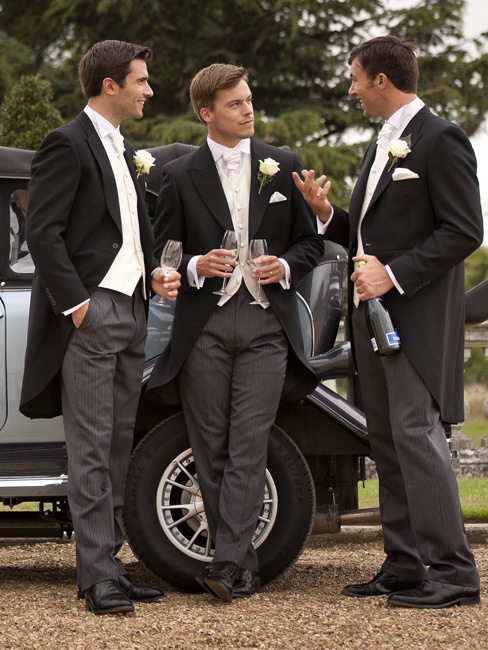 Today, the classic tailcoat offers a strong, formal look for your wedding – and instantly helps you look the part for other social occasions such as Royal Ascot. Perfect for the less formal wedding, the Short Jacket can co-ordinated to suit a number of different looks. Choose from black, mid grey, and navy, all with matching plain trousers – the black and navy also have a choice of co-ordinating stripe trousers. The Frockcoat has been a fashionable choice since Victorian times, Back then, it was the coat for distinguished gentlemen and would be worn as daily business attire by the well-to-do. In the 21st century, the frockcoat brings something that little bit different to your own unique day. The frockcoat is renowned for its crisp front edges and its squared-off tail. Please contact us using the details on our contact page. We are always happy to answer your queries or enquiries. Over 25 years of providing excellent service.